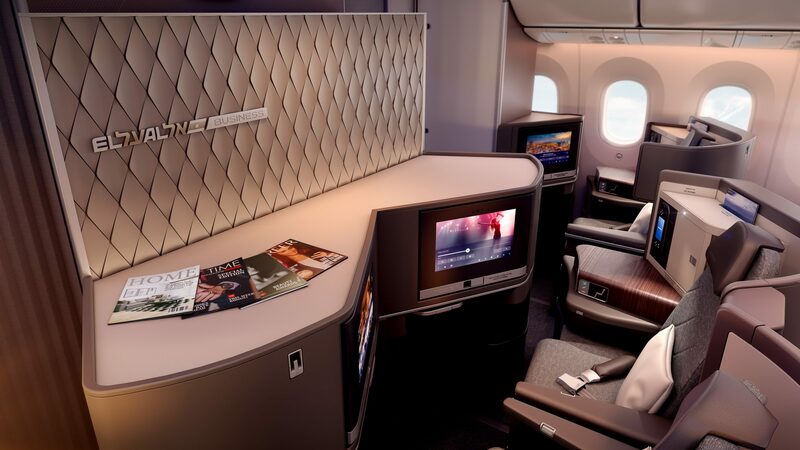 The EL AL branding panels feature curved diamond profiles and a distinctive, yet subtle, two-tone finish, reflecting the EL AL Business Brand through the forward cabin. 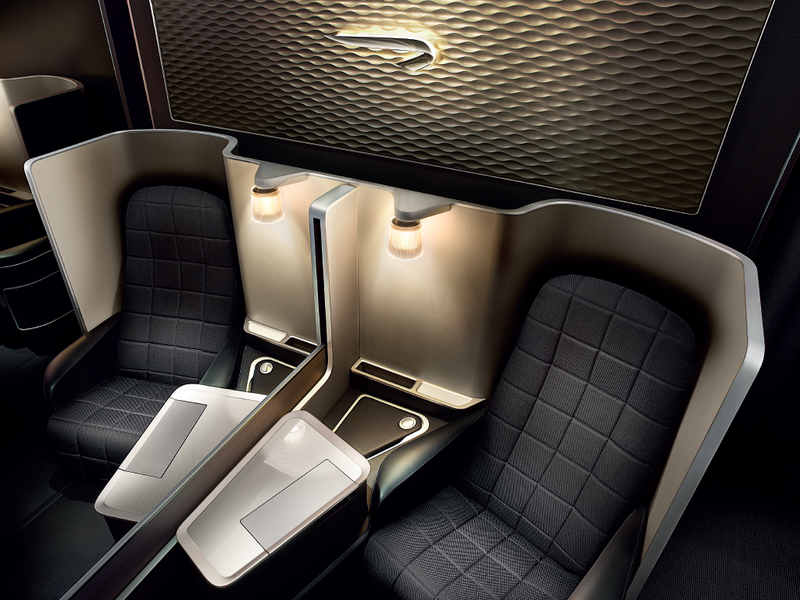 They provide a stunning expression of the airline’s values of excellence and professionalism. 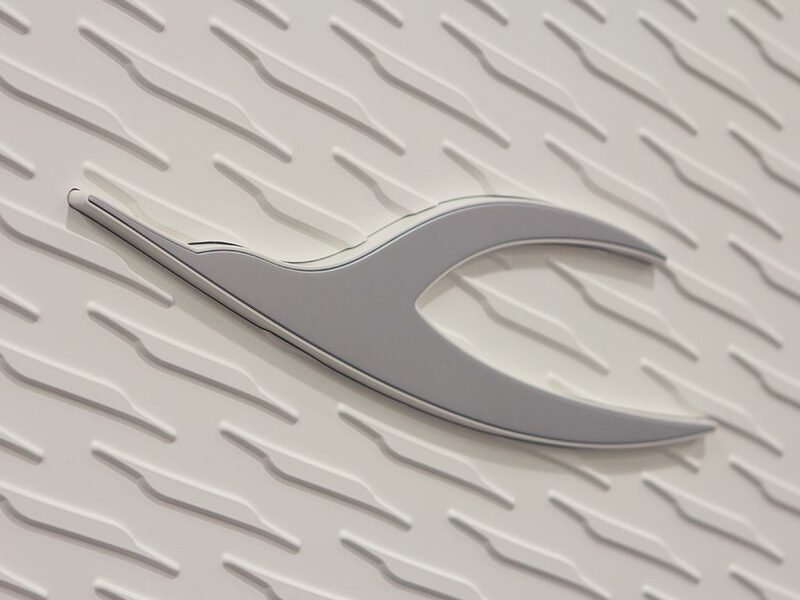 With passengers likely to be drawn to the tactile plated logo, AIM Altitude has ensured that it can be easily interchanged with a new logo, should any damage occur. 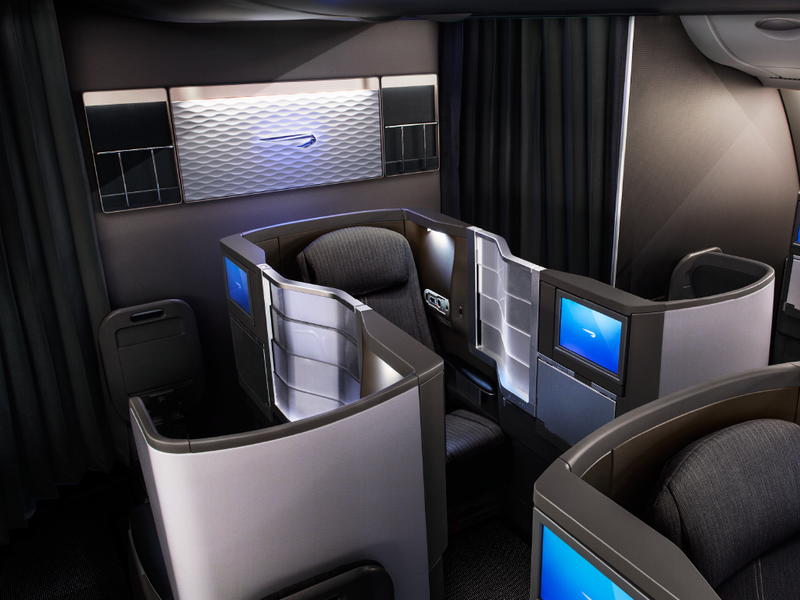 With the original concept by PriestmanGoode, the panels appear in each of EL AL’s 787-9 Dreamliner aircraft and were part of a larger project where AIM Altitude engineered, certified and built front-row monuments for the Door 1 area. 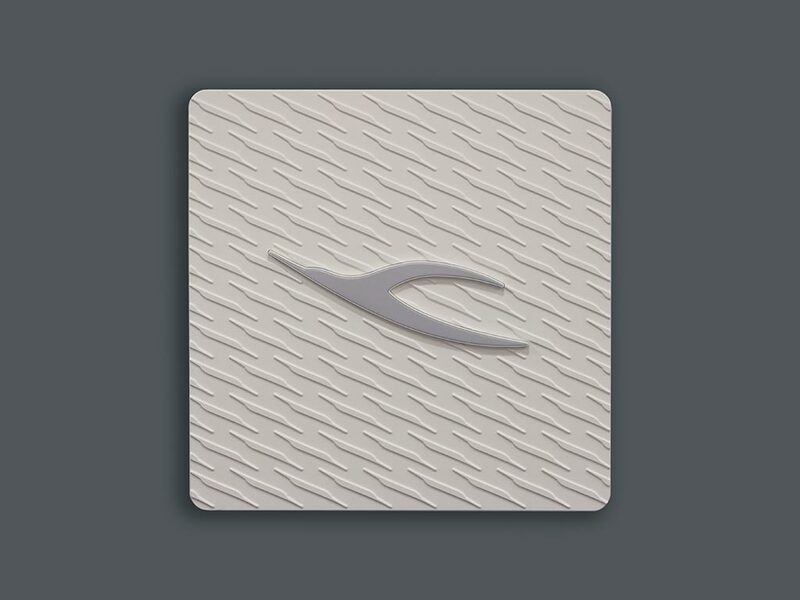 AIM Altitude has turned the stylised swooping-bird logo that is instantly recognisable as the symbol of Kuwait Airways into the main focus of several highly complex 3D panels. 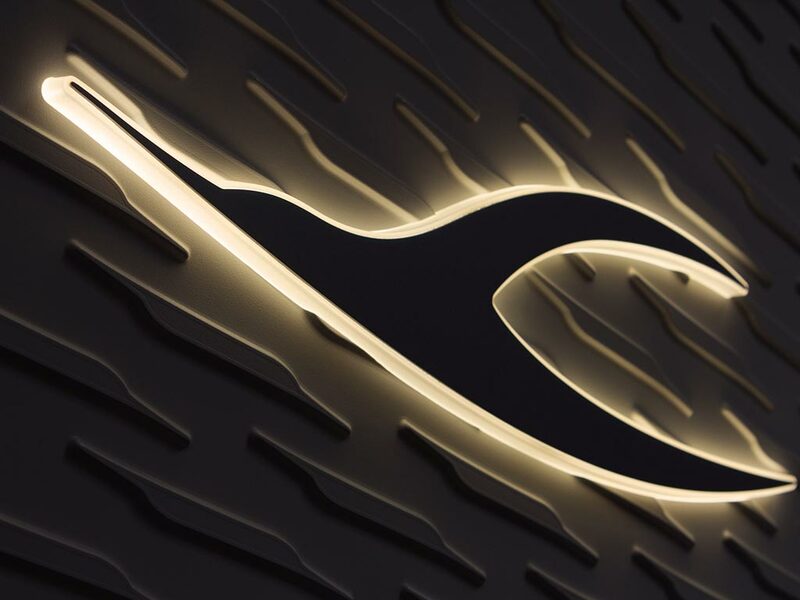 Injection moulded and pressure formed, it creates a bespoke centrepiece with a distinctive lighting effect. 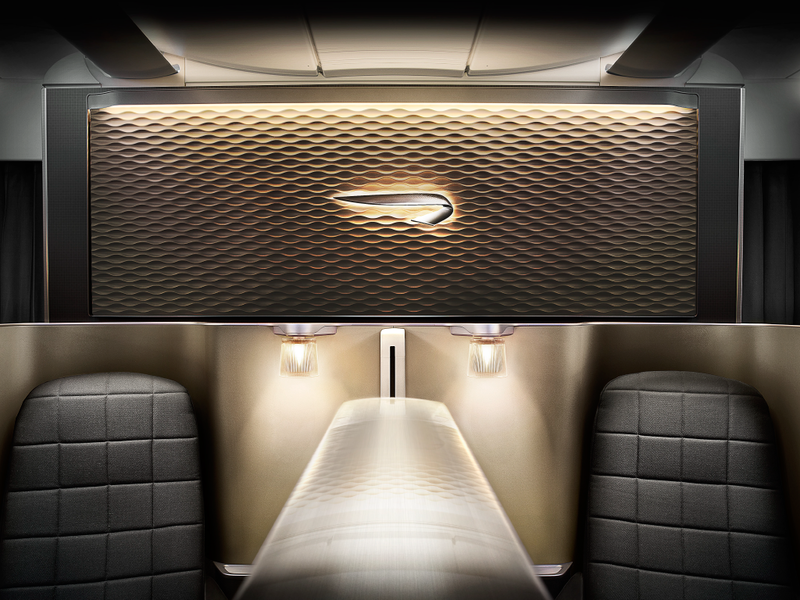 Custom colour Kydex provides durability and AIM Altitude’s own Autonomous Lighting Dimmer (ALD) allows the panel lighting to respond to the cabin environment. 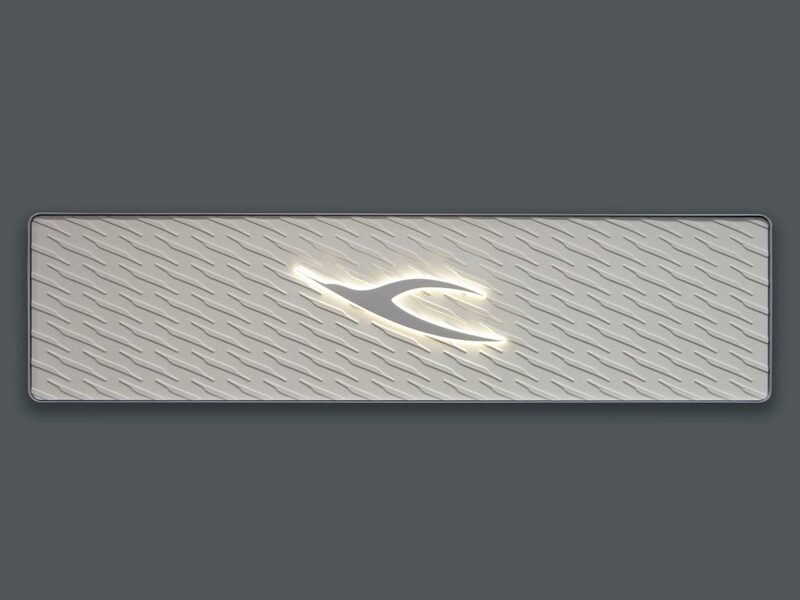 The main panel has been achieved within a low 20lbs total weight, 8lbs under target. 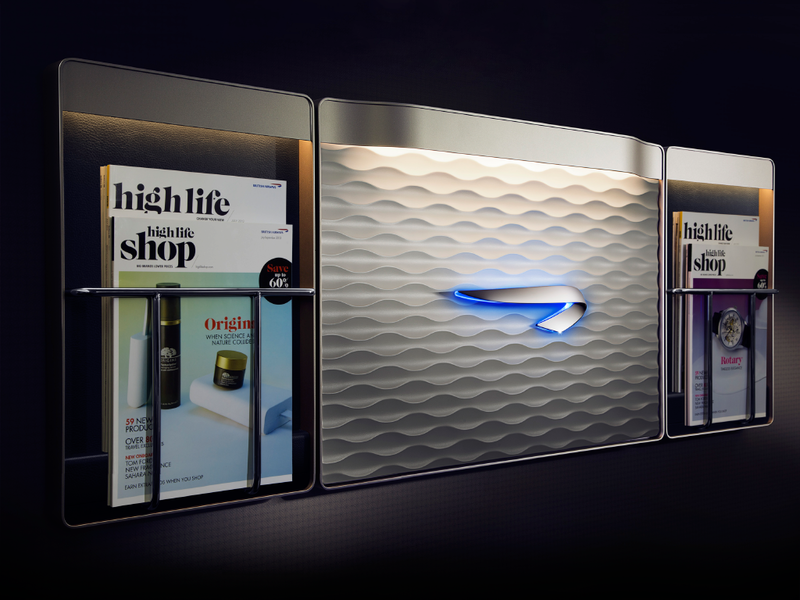 British Airways has used a mixture of theatrical lighting techniques and vivid 3D textured surfaces to create a stunning set of panels. 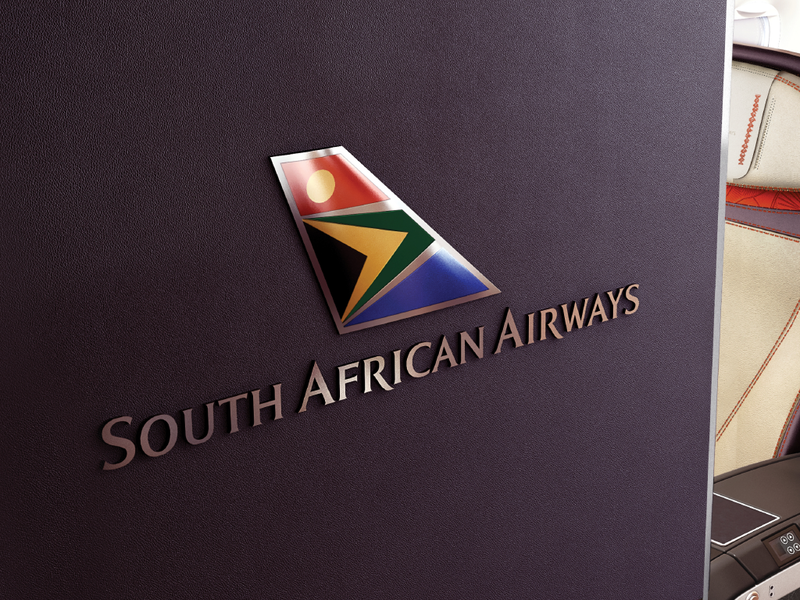 Pure design meets practicality, allowing an airline to emphasise brand identity in a refined and understated way. 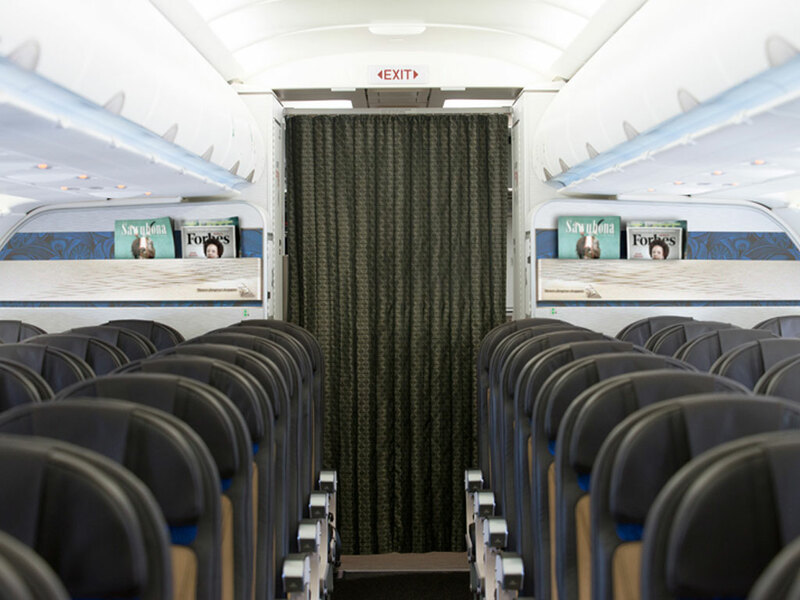 Utilising wall space without fully customising monuments can transform the aircraft interior and provide a great branding opportunity. 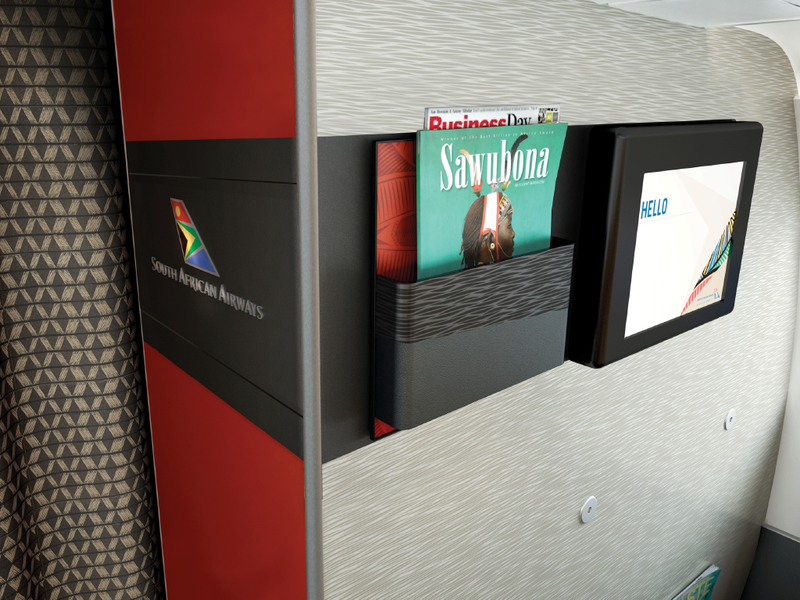 South African Airways incorporated their cultural flavour into this set of magazine and feature products. The original design concept by PriestmanGoode, playful colour pallet and exciting metal finish techniques promote an acute attention to detail mixed with an exuberant vibrancy for life. 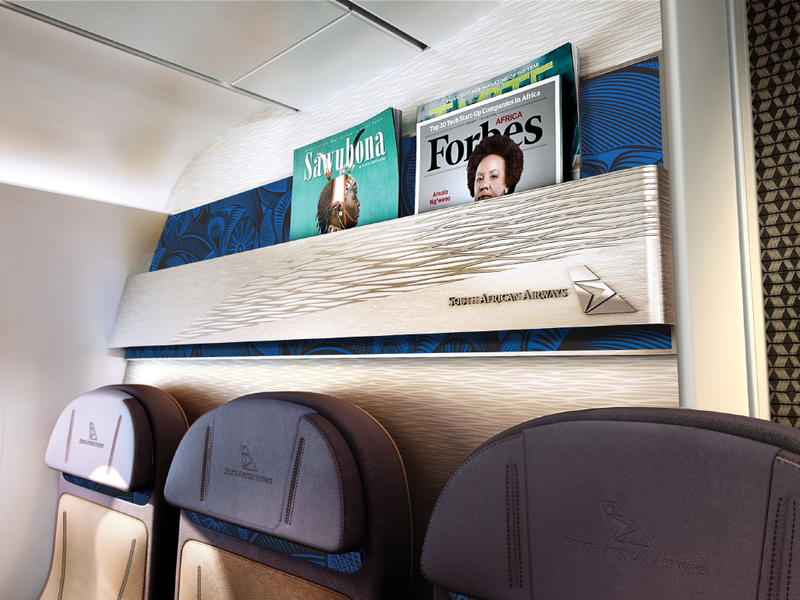 The items are used to highlight and accentuate areas of a standard cabin allowing the airline an easy opportunity to reinforce its brand to passengers.